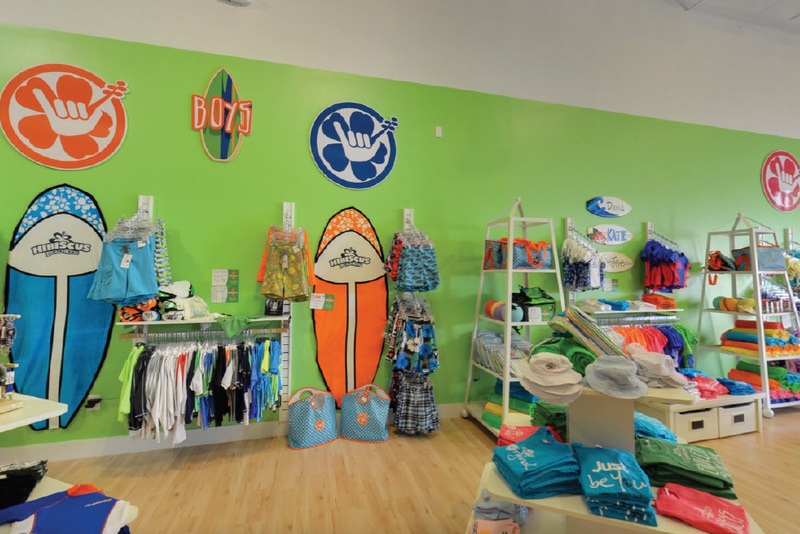 Stephanie Barimo and Amy Abbott teamed up in 2013 to open Hibiscus Beach Kids—a one-stop shop for young beachgoers and adventurers. How’s business? Very good. Some of the nationwide retailers have been closing locally, and that only help us. Our swim season is always fantastic, but we’re also growing our back-to-school vertical with a particular focus on boys to fill the market void. We stock great hybrid shorts, collared shirts and button-downs. Who’s your core customer? Stay-at-home active moms, usually with multiple children. But in season, we get a ton of grandmas who come down from the Northeast with their families. We’re also growing our tween business—we’re getting 13 to 15 year olds coming in to buy skate and surf merchandise. What are your best-selling brands? Snapper Rock, Seafolly Swimwear, O’Neill and Roxy are our four bestsellers. Seafolly and Snapper Rock have been with us since the beginning before we brought in O’Neill and Quicksilver. Iplay is also popular for infants and toddlers because of the reusable swim diapers and swim trunks with built-in swim diapers. Any notable trends of late? The colors for summer have been more muted for the older kids, but still neon and bright for younger children. As a resort store, we always continue with the theme of sea life and coastal-related animals in our prints. Mermaids, flamingoes and sharks have been huge. And since our area has the largest population of nesting loggerhead sea turtles in the world, turtle prints are always a hit. How are kids’ accessorizing? Sunglasses and Charm It charm bracelets for little girls perform very well. They can’t get enough of those. Other good beach finds like waterproof speakers, Pura Vida bracelets and pool floats sell fast, too. Ukuleles are also huge—we just restocked two days ago, and we sell out like crazy! What’s your sweet spot for price? I wouldn’t call us high-end, but we’re not middle of the road either. We offer product to meet the varying needs of our customers. People are typically looking for $30 or under. Then we’ll have a rich grandma drop $1,000 without batting an eye, but that’s not typical. What is biggest challenge facing your store right now? Our plaza is undergoing a huge renovation next year, so there will be all kinds of challenges once that starts. Our local residents are here year-round, so they know about us and come specifically for what they need. There’s nothing else like us, which helps drive business. Once the construction starts though, the steady foot traffic will probably be interrupted. Any advice for fellow resort retailers? Like any retailer, understand the needs of your customers. Our area is full of active people who play all kinds of sports, so swimwear has to be comfortable and appropriate for beach volleyball to surfing. Nothing too skimpy. Sun protection is also important, so having a wide variety of sun shirts or rash guards is crucial. And since we get a lot of snowbirds, we carry “Grandma Bait”—styles with bows and frills they just can’t stand not to buy. Where do you envision Hibiscus Beach Kids in five years? I see us having multiple locations with a fully developed website. The ability to fill orders through our website is so important with so much shopping now online. 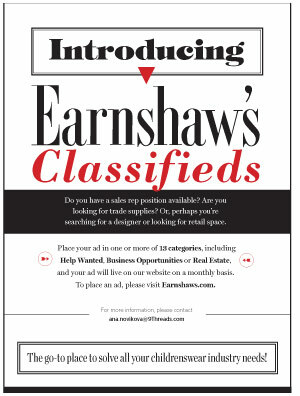 With keeping up the hard work, we hope to become a household name.